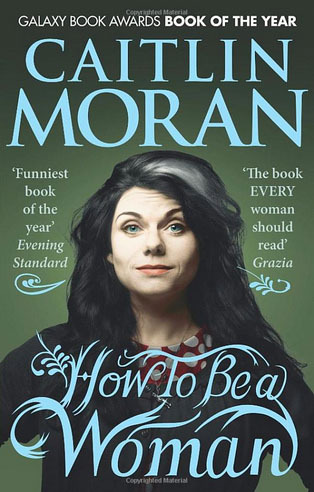 How to be a Woman is an interesting memoir. It is a selection of memories, collated as a sort of scrap-book of her womanhood. Okay, that sounds a little complicated, it's like, scenes from her life that lead to her being a woman, does that sound a little easier? She discusses this in both a biological and psychological sense. She is aware that feminism has stagnated, and that it needs to be wrestled back from the academics, the university debates and PHD theses. She is also calling for women, all types of women, from all sorts of backgrounds, educations, classes, races, cultures, religions and nationalities to actually start TALKING about feminism and the role of women in our society. It shouldn't be left to just the academics, it should include all women, and men can join in too! This isn't feminism as it is shown to be by the media... man-hating and all that jazz, it is how it should be, a movement that allows a platform for all types of women to be represented. 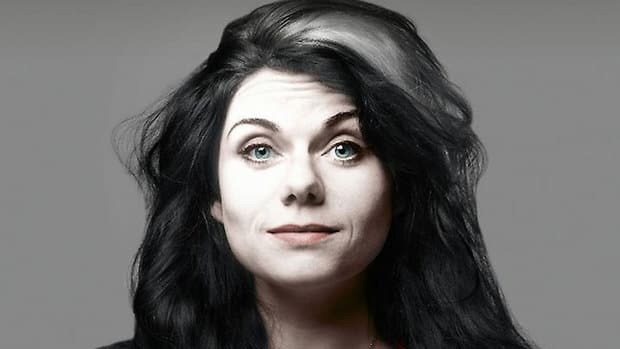 Caitlin Moran has been writing for the Times since she was in her teens. Her articles are known for their sarcastic and comedic tones. What makes Moran so good is that she talks about things that we have all thought about or commented on, things we have complained about or laughed at, and discusses it openly, without shame or modesty and says things in ways we probably wouldn't have the guts to. How to be a Woman though is not for everybody. I readily admit that. I enjoyed it so much because I found her writing witty... I may not have agreed with everything that she said but I still enjoyed the insight into her experiences. There are stories in this book that are just so funny. I mean, I actually laughed out loud because they were so brilliant (her wedding, for example, the episode of her and her sister dumping her then, musician boyfriend) and there are stories which are uncomfortable (her abortion and childbirth experiences, eating disorders, and sexism in the workplace). She tells her stories openly, and then sprinkles a little feminist theory over it... by sprinkle I do mean like a few grains here and there - I promise, you won't even know it's happening. Some of her theories, assumptions and conclusions I sometimes find a little floppy but I can overlook it because she writes with such pizazz, because writing is really what she does best. There are a few paragraphs in this book that I'm just awed by. She is a word smith extraordinaire and if Moran is to be celebrated for anything it should be that! In effect, Moran has managed to write a feminist manifesto... and it kinda feels like she didn't really mean to! I enjoyed it greatly, and by greatly, I mean... GREATLY. I hope you enjoy it too. There is crass and vulgar language throughout and some detailed scenes that may make you laugh, cry or queasy, but I'll tell you something, the fact that it is coming from a woman kind of makes it refreshing. I promise, although the book is distinctly British, it is not alienating in the least. Also, men may like this too (hint, hint)... I'm just saying! Let me know what you thought if you've read it, or what you think once you do. I imagine I'll be re-reading this in the near future. Don't know if this is my kind of book. But it sure sounds interesting. Oh and I'm born and brought up in the UAE, had to move for college though :/ . Loving the look of your blog. Thanks so much for stopping by my blog, following me and of course for nominating me for the Liebster Blog Award. I'm absolutely thrilled. Do you plan to move back to the UAE soon? I imagine you visit family during your holiday period?